Key Contributions To India Win – A 137 win at the Melbourne Cricket Ground helped bring about one of the most memorable and breathtaking wins for India on foreign soil. 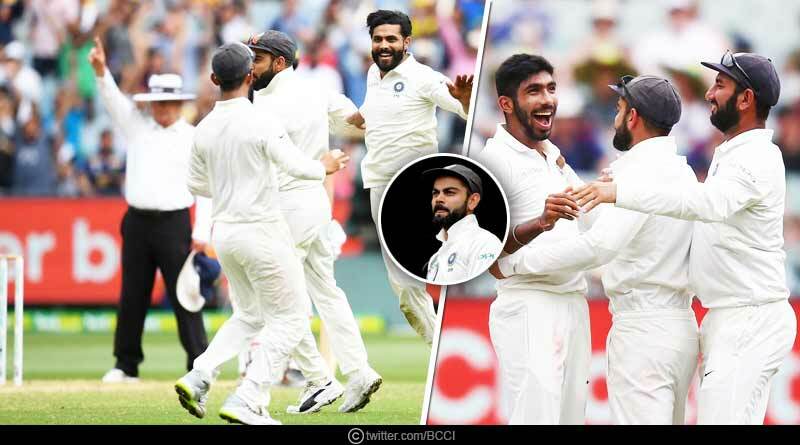 With it, the win saw India not just decimate the hosts on their own turf but also take a massive stride towards winning their first ever test series in Australia, taking an unassailable 2-1 lead in the series. The win was one of India’s most complete performances in test cricket. 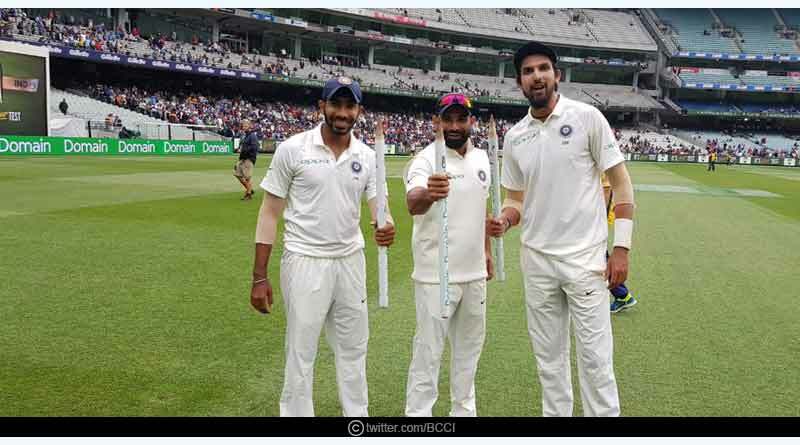 Be it from the stellar and coveted innings played by the entire top order in the first innings to a well rounded effort by the pace trio of Jasprit Bumrah, Ishant Sharma and Mohammed Shami, India’s showing at the MCG silenced their detractors in style. The side boasts of one of the best batting line-ups in international cricket at the moment which coupled with a versatile pace bowling unit surely makes them a real force when it comes to red ball cricket. A match that will be remembered for years to come and always be spoken about with high praise when discussing a travelling Indian side saw all 11 players playing their part with equal vigour. We take a look at the key contributions to India’s win in the third test match. Winning toss, India knew they had to make the most of the sluggish, drop in wicket day 1 and 2 wicket at the MCG with the pitch promising to detoriate after the initial two days. And that is just what India’s mainstays with the bat Virat Kohli and Cheteshwar Pujara ensured for the tourists. Pujara’s 17th century (106) and Kohli’s 20th 50(82) saw the visitors wrestle all six sessions of day 1 and 2 in their favour. It was batting masterclass from the duo, one embedded in grace and class. On a wicket where scoring runs wasn’t easy, the pair showed how to play out a true test innings. They grinded it out in the initial stages of their innings, showing immense application and determination to take their side to a massive 443 in the first innings. It was partnership that helped the middle-order come out and play freely and pressure free. Kohli and Pujara provided the side with the perfect foundation to tee off from, with their astonishing 170 run stand helping India pile the pressure on the Australians in the initial stages of the match itself. Once Kohli and Pujara ended their sojourn, the onus fell on the middle-order to keep the momentum going for the country. A problem that had caused India to hand over matches from winning positions over the entire of 2018 was finally plugged with Ajinkya Rahane, Rohit Sharma and Rishabh Pant all stepping up and showing their talent. Pant and Rahane both chipped in with vital runs, adding 34 and 39 which proved to be vital runs come the end of the test match. However Rohit Sharma’s 63 was the stand-out performance in the lower middle-order. Blamed for throwing his wicket away far too cheaply after getting starts in test cricket, Sharma gave nothing way, blocking out everything the Australians threw at him. He was undeterred in his approach despite Australia taking the new ball as he put a prize on his wicket, playing some exquisite shots once he had found his feet at the crease. Lead by Jasprit Bumrah, India’s pace battery was at its mercurial length, bowling an immaculate line and length, one which rattled the Australians. 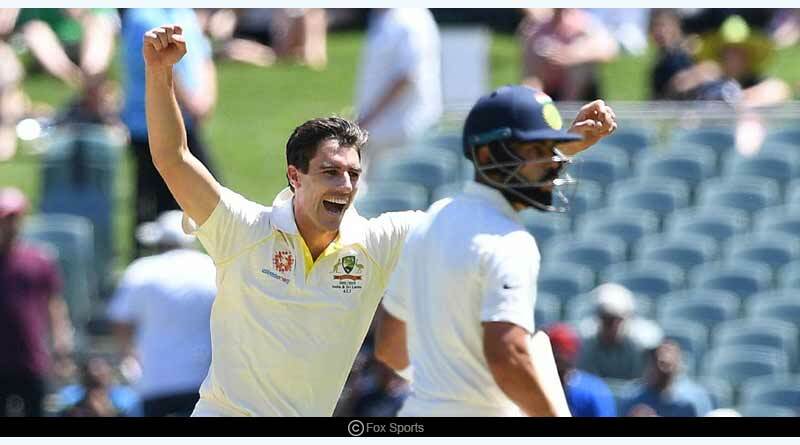 Causing a capitulation in the Australian ranks, the pacers got the side to fold out for just 151 in the first innings to put India completely on top of Australia in the third test. It wasn’t just the wickets that the three got through that were the highlight of their efforts with the ball. On a track where line was the most important aspect towards ensuring a back-breaking spell, Bumrah, Ishant and Shami were terrific in the positions they pitched the ball on. They kept persisting in the good length area, mixing it up with the shorter stuff to bring about unplayable variations. What was heartening to see was the way they consistently troubled the Australian batting line-up, catching them back in their crease. The ball danced to their tunes, moving and swaying in the air, reversing both ways in the second innings to guide India to a 137 run win. Bumrah rightfully won the man of the match award for his 9 wicket haul in the test, one which also saw him pick up career best figures of 6-33. It would have been impossible without Shami and Ishant though who kept a tight leash from the other end to not allow the Australians any breathing space. The three together picked up a total of 15 wickets in the test to break the 39 year record of Joel Garner, Michael Holding and Malcolm Marshall, overtaking their 130 wickets in a calendar year by pacers. 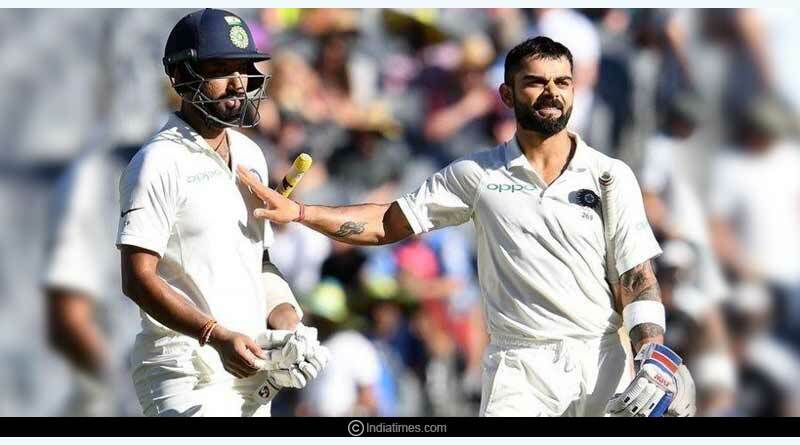 Criticised for a weak team selection and lack of proper planning in the Perth test, India were quick to paper over the faults come the MCG test. Getting their playing XI, the side executed their game plan to perfection, working the Australians up and causing them to chase the game on all 5 days. Virat Kohli was at his best as a captain in this match. From his precise field positions to ringing in the perfect bowling changes, he kept his bowlers fresh and sharp under sweltering conditions. The pinnacle of his captaincy came about with the declaration, bring a close to India’s innings on day 2 when Australia least expected it. Brining Finch and Harris out to bat for 6 overs after being fatigued with a fielding effort of 170 overs was a masterstroke. Kohli followed it up with another terrific decision of not enforcing the follow-on, getting Australia to field one more time before making them bat on an inconsistent day 4 and 5 wicket. For more articles like Key Contributions To India Win, do Subscribe to our newsletter and follow us on Facebook, Twitter and Google+.